Picking a major, picking classes and deciding what academic path you want to pursue can be a daunting task. Especially for first year students at UVA. I remember when I first came I had no idea what I wanted to major in and had no idea how to navigate SIS and register for classes. I was simply overwhelmed by the multitude of what is offered here. Since then I have tested the waters of most subject areas and now have a much better idea of what interests me (thank goodness). Although it takes time to figure out what you want to pursue, I promise that as long as you explore everything with an open mind you will find something that interests you. When incoming first years ask me what kinds of classes I would recommend taking I tell them two things. First of all, if you are in the College of Arts and Sciences, try to get a couple of area requirements out of the way early. There’s no reason to put them off. It will make your workload easier third and fourth year. Secondly, take some classes that you might put you outside of your comfort zone or are in a department you know nothing about. There is no better place than UVA to gauge your interest in history, mathematics, chemistry, statistics, you name it, it’s offered. 1. Shakespeare I and II: This class is really quite unique. I had taken plenty of English classes before, but never one in such a concentrated area. The fall semester version covers histories and comedies and the spring semester covers the tragedies. There’s no need to take them in a particular order. Professor Maus brings an excellent amount of enthusiasm and passion for the subject that really makes her class enjoyable. 2. Commercial Law I: This is one that you probably won’t be able to take until your second year. I believe everyone, regardless of major, should consider taking this class. It is not just about the legal process but also about information anyone should know, especially if they are ever in a sticky situation. Again, the professor makes this class a really great pick. Professor Moore is a really awesome person and engaging lecturer. I’m already looking forward to taking COMM Law II. 3. Intro to Statistical Analysis: This is kind of an unorthodox recommendation. When I tell people that I am a stat major they usually wrinkle their face in some expression of agony. And I get it, math isn’t for everyone. I never used to think it was for me. But then I took STAT 2120 and realized that I actually really liked the subject. It is applicable to many different types of research and career paths. I think my experience is a testament to the fact that you should really be open-minded in whatever classes you end up taking. Even if they’re seemingly banal requirements for a major or area requirements that you are trying to get out of the way, you can’t knock it till you’ve tried it. Obviously UVA has many, many more interesting classes to offer in addition to what I have listed above. You should look into everything you can. I would recommend checking out Lou’s List (just google Lou’s List UVA), which is a user friendly version of SIS (the site used for course registration). 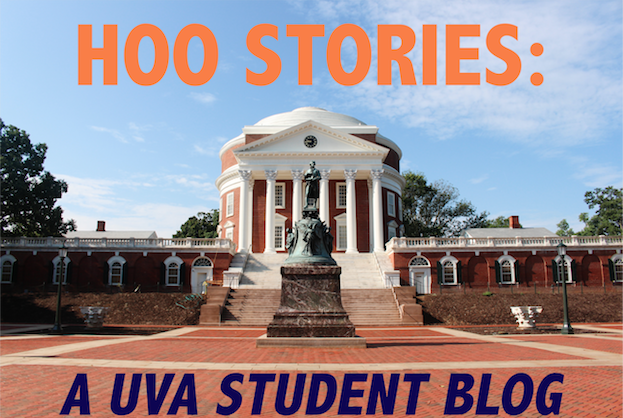 It will give you a feel for the type of classes that UVA offers across all departments. Lastly I would recommend sitting in on a class during Days on the Lawn. You can really get a taste for a particular department by doing so. Best of luck!